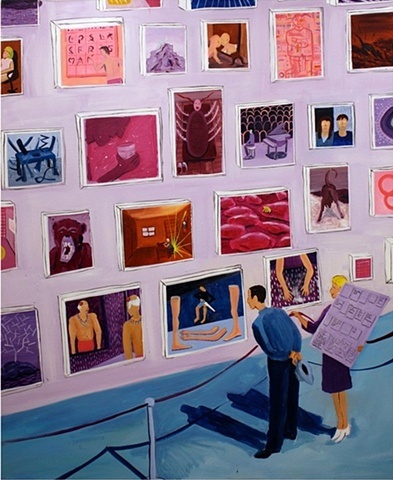 This painting describes a couple looking at a collection of paintings. Each painting is a direct and literal illustration for metaphors used by the philosophers Deleuze and Guattari in their writings. The woman is holding a textual key to the paintings, that presents the corresponding original written quotes.